There’s a difference between price and value. Our Customers appreciate value. Is your carpet looking dull or dirty? The Carpet Tender can make it look new and smell fresh. The Carpet Tender's incredibly powerful truck-mounted hot water extraction units successfully remove the most soil and have a faster dry time. Only our trained technician (and the hose) will enter your home or business. We bring our own filtered soft water, and we take away the dirty water when we're done. Don’t settle for dirty carpet! The Carpet Tender specializing in residential carpet cleaning. One of our professional technicians can come out to your location and assess the area(s) you want cleaned and give you a quote for cleaning your carpets. The Carpet Tender only uses safe and effective cleaning products to ensure you get the best results possible. The Carpet Tender offers customized commercial cleaning for your office or commercial business complexes. Our focus is on quality, professionalism, consistency, and integrity. Let us make your workspace carpet look fresh and clean. It is a simple pleasure to see a carpet that is blemish free. The Carpet Tender’s trained technicians can remove stains, cigarette burns, bleach spots, and pet odors in your carpet. We can also fix tears, seams, and loose, wavy, or rippling carpet, which can be tripping hazards and increase wear and tear. 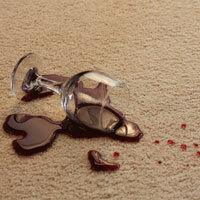 Don’t let a small defect ruin your entire carpet! We have been serving Reno, Sparks, and Carson City since 1986. Our technicians are highly trained and knowledgeable, and you will not get a better value from anyone else in town. Call The Carpet Tender today for your free estimate at 775-825- 9433.